The LWVWA Lobby Team takes positions on pending state legislation based on the two documents below. You can find information about the legislation we are currently supporting, opposing and watching on our Legislative Issues page. The League of Women Voters uses a time-tested method for taking positions on issues. Members study an issue, use local League meetings to develop consensus on the issues raised in the study, and then adopt a written statement of position on the issue, which is approved by the Board. Local League adopted positions may be used as the basis for advocacy at the city or county government to which the position applies. Local League positions may be found on each local League’s web site. 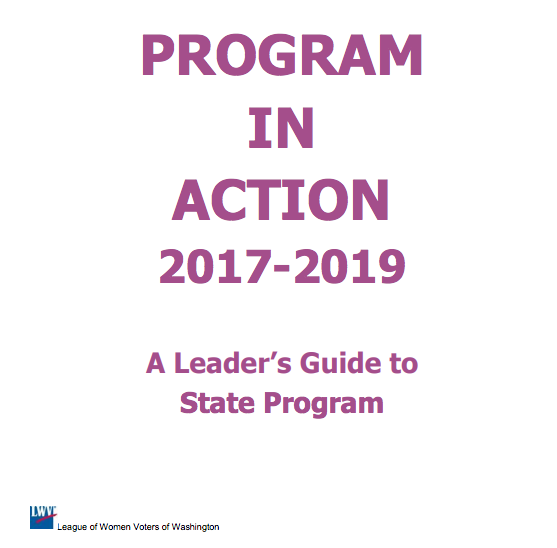 A summary of studies, consensus, and action taken by the League of Women Voters of Washington since the 1920s. These positions are updated every two years. 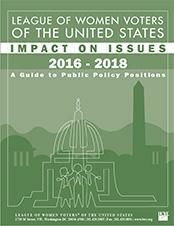 The 2016-2018 edition of the guide to the National League's public policy positions. These positions are updated every two years.